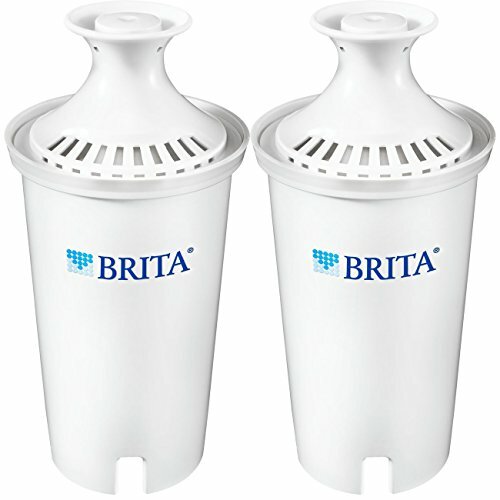 CLEANER: Only Brita filters are certified to reduce contaminants in Brita Pitchers. Certified to reduce Copper, Mercury, and Cadmium. Contaminants reduced may not be in all users' water. GREAT TASTING: Brita filters reduce chlorine taste and odor found in tap water. Substances reduced may not be found in all users' water. EASY INSTALLATION: A pull top cap makes filter change quick and easy with no pre-soaking necessary in order to sip and enjoy great-tasting, filtered water in minutes. REDUCE & SAVE: One water filter can replace up to 300 standard 16.9 ounce water bottles, keep you hydrated, save you money, and reduce plastic waste. Replace filter every 40 gallons, about every 2 months for the average household.